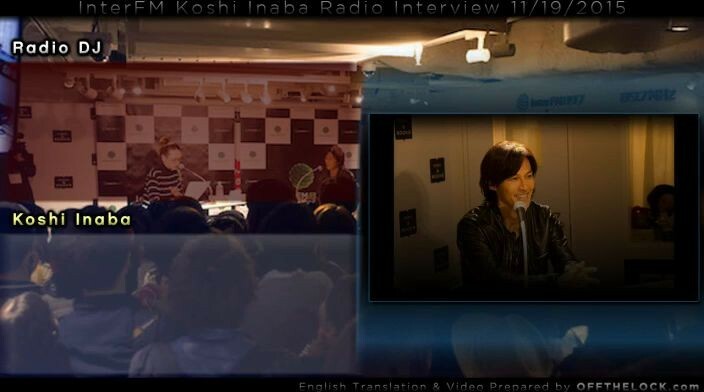 As previously covered in an earlier update, Koshi Inaba recently made a public appearance at HMV&BOOKS in the Shibuya Modi department store for a special radio interview. Today, as a holiday surprise, we have subtitled the entire 27-minute interview for all to enjoy. Because the program was a radio broadcast and we wanted to present the translation alongside the audio, we have created a video that we feel best presents the interview in a visual medium. The interview took place during the「Happy Hour」program on InterFM 89.7, which broadcasts from inside the store. In the course of the show, Koshi premiered his upcoming single「Hane」and previewed another track from the upcoming release. In addition to the included previews of Koshi’s two new songs, also be sure to stick around until the end for a special surprise. 「Hane」will be released on January 13th, 2016 and can be pre-ordered now from CD Japan and other retailers.